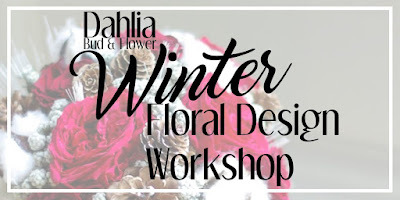 Experience a floral design workshop hosted by Dahlia Bud & Flower. Each workshop is a 90 minute creative class where you design a beautiful take home arrangement. All fresh flowers, supplies and containers are provided, you just have to show up! 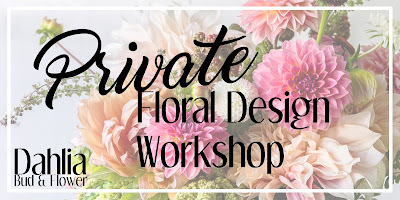 Private Floral Design Workshops: Contact for current availability. All fresh florals, supplies and containers are provided and brought to your private location or venue. CLICK HERE for Current Floral Design Workshops Available. CLICK HERE for Current Floral Workshops Available.